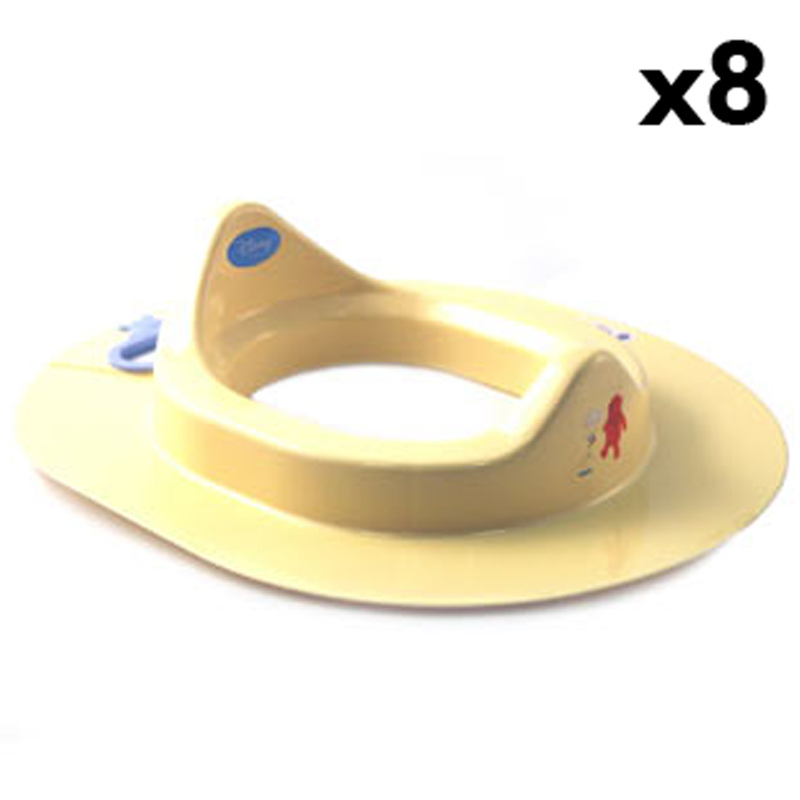 A bulk quantity of 8 toilet training seats with shaped Winnie the Pooh insert and Honey Tree character design. Designed to ensure the child feels safe when using a regular toilet. Fits conveniently under all standard toilet seats to reduce the size when toilet training. Includes a carry handle aperture and moulded Winnie the Pooh shaped colour contrast surround.